At most treatment centres, a client suffering from alcohol addiction will go through the detox procedure to deal with the physical addiction to alcohol. It’s a difficult experience, but the results are often very positive, but their journey through recovery does not end there. Most alcoholics are also psychologically addicted to alcohol, and while detox can help a client rid their physical dependence, their brain is still telling them that alcohol needs to enter their body or else. Why would our own minds want to continue poisoning us? Well there are many, many answers to this question, and you’re probably starting to see why counselling is so important during recovery. Every alcoholic is different, and every brain is different. Counselling, when lead by a trained addiction specialist, can help clients figure out why they turned to alcohol in the first place. Perhaps it was a physical issue like an injury, or more likely an emotional one that has haunted them for quite some time. Trauma, rejection of some sort, depression, all reasons why someone may have resorted to alcohol as a way to cope. Some will say life is just boring without alcohol, while others hate drinking but can’t stop doing it for one reason or another. No matter what the reason, it’s important for a client to get to the bottom of why they feel the need to drink. Participating in counselling allows a client to talk openly about their relationship with alcohol and why they turned to it in the first place. They get every opportunity to assess the reasons why they drink, as well as identify their particular triggers. 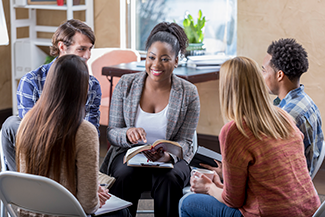 Since counselling is often conducted in both an individual and group format, a client has the chance to share their experience with others in a similar situation, as well as learn more about themselves through others. In fact many alcoholics who participate in counselling during their stay at rehab make lasting, meaningful friendships with other clients during their stay. Counselling also has the crucial benefit of allowing an alcoholic to mend their relationships back home, possibly with a spouse, child or boss. This ensures that after treatment, someone has their life to return to, which is what rehab aims to do. Individual therapy sessions are offered to clients not to take away from group counselling, but to really pin down specific triggers and help them with their very personal relationship with addiction and alcohol. It cannot be stressed how individualized alcoholism is, and therefore one on one therapy must be part of treatment in order to achieve sobriety. This form of counselling can also assist the client in succeeding in the group and family sessions, by preparing them for what is to come. Some clients also prefer this form of counselling, at least at first, due to the shame and embarrassment they feel due to their drinking. Counselling has the same end goal as rehab in general: To prepare a recovering alcoholic for their return to their life, their family and the world itself. They’ll be faced with challenges, temptation and maybe even a setback or two, but with proper counselling they will leave treatment with a better understanding of themselves, their addiction and how they fit in to their new alcohol-free life. A client leaves rehab with a mental toolbox, filled with everything they need to tackle the obstacles that they will face in the world, and they fill that toolbox during counselling. With the help of professionals, they pick and choose which tools they need based on their experiences, what’s to come and what they think works for them. Essentially, counselling is what will help someone avoid living life afraid of making a mistake that will plunge them back into an existence fueled by alcohol, and focus on staying healthy, happy and sober.